The history of Zanzibar would be incomplete without the cloves, nutmeg, cinnamon, pepper, saffron and many other spices which brought the Sultans of Oman to this island. You can visit some of the private plantations just outside Zanzibar town, and our tour includes opportunities to dazzle the senses with fresh spices, as well as sampling organically grown herbs and having a detailed description about their traditional uses in medicine, cosmetics, and cooking. After the tour we invite you to enjoy an opulent lunch at our guide’s home, where you can taste the spices and fruits. The Spice Tour is also the cheapest way to purchase spices and spice oils. 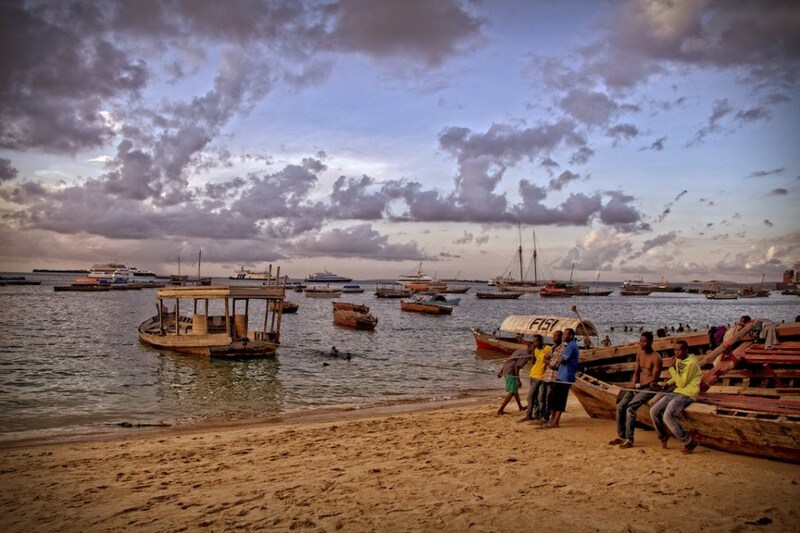 This tour takes you through fabled Stone Town, where history appears to stand still. With visits to the House of Wonders, the Palace Museum (People’s Palace), Dr. Livingston’s home, and the Arab fort, among others, it is a fascinating look at the essence of Zanzibar. You will see Zanzibar’s bustling market, winding alleyways, ornately carved and studded doors, two cathedrals and countless mosques! A guided walk through this colorful city with tour guide Suleiman, who knows funny, but also cruel, stories about life of the old times in Stone Town. Situated on the southern point of the island, Kizimkazi fishing village is home to several schools of bottle-nosed dolphins and humpback dolphins, which can often be sighted on a short boat trip from the village. If you are lucky, you may be able to swim quite close to the dolphins, which can be a very rewarding experience. We do this trip in the afternoon to avoid the crowds of tourists in the morning, which in large numbers disturb the dolphins. Kizimkazi is also the site of a 12th Century mosque, the earliest evidence of Islam in East Africa, and is thus worth a visit for both natural and cultural reasons. Earning its name as a former prison for slaves and a quarantine station for Zanzibar and the mainland, nowadays the island gives you the chance to escape for some peace and quiet. The island lies just off the old Stone Town, and is home to giant tortoises that were imported from the Seychelles in the late 19th Century. It is fringed with a beautiful coral reef, ideal for snorkeling, and has a lovely white beach for sunbathing. The island is ideal for a day trip with refreshments available throughout the day. It also has a small restaurant where you can dine on freshly caught fish. The Jozani Forest is the home of the red colobus monkey, a rare species found only in Zanzibar. These beautiful monkeys are full of character, and roam freely. But Jozani is also home to other species including the Sykes monkey, small buck, chameleon, and bush pigs. The elusive Zanzibar leopard (last sighted several years ago) is said to feed here at night — perhaps this is why the reserve is only open during the day?! Jozani has an excellent nature trail and the guides are well-trained and informative. A walk through this impressive flora and fauna is one of the highlights Zanzibar has to offer. This very special boat trip starts when you are picked up from the hotel. We are heading to a small island — Miwi and Nianembe or Kwale, in the protected Menai Bay. From the sail boat you can often see dolphins. On the island you will find an exposed sandbar, providing a pristine beach, perfect for relaxation. The sea around the island is very good for snorkeling. When the tide is low, it’s possible to walk around the island, exploring the rock piles where juvenile fish and a myriad of crabs, shellfish, starfish, oysters, and other invertebrates exist in the ever-changing environment of the intertidal pools. We’ll arrange a barbecue with fresh caught fish, local dishes, and tropical fruits. Do not miss this very special trip.